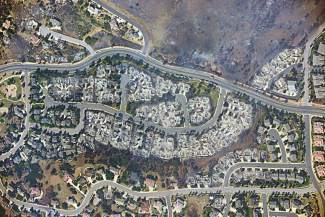 An aerial photograph of the Waldo Canyon Fire shows the destructive path of the fire through a Colorado Springs subdivision. EAGLE COUNTY — For thousands of Colorado homeowners who believed their houses weren’t at risk for wildfire destruction, the satellite images from the Waldo Canyon blaze in 2013 were a rude awakening. That fire charged its way through Colorado Springs subdivisions, totally destroying a wide swath of homes. The images also provided an equally startling view of houses that were seemingly untouched even though they stood within feet of their destroyed neighbors. There’s been many hard learned lessons from Colorado’s recent wildfire history and a new program launched by Eagle County and the Vail Board of Realtors is designed to put that knowledge into practice. REALFire is a new voluntary wildfire mitigation program that helps property owners identify specific actions they can take to reduce wildfire hazards. REALFire offers in-depth property assessments conducted by experienced local fire professionals. Property owners who successfully complete the program will receive a certificate that may help them address rising insurance premiums and maintain affordable coverage. Eric Lovgren, the REALFire program coordinator and the wildfire mitigation specialist for Eagle County, said he often points to the Waldo Canyon fire as an example of risk when speaking with locals. What starts out as a wildfire can rapidly become a devastating urban fire. All it takes is one house near a wooded or grassy area and a high wind. With that said, Lovgren noted that people often imagine massive mitigation and overlook simple steps that they can take to protect their property. For residents who are interested in learning more, Lovgren noted the new REALFire website at http://www.realfire.net provides information about mitigation options. Additionally, interested residents can fill out an application for a REALFire property assessment. During the assessment process, homeowners receive an in-depth, on-site assessment conducted by experienced fire professionals. The assessment will identify mitigation actions unique to each individual property. After the assessment, a detailed follow up report with a customized mitigation plan is provided and the property owner can earn a REALFire certificate acknowledging their compliance with the plan. Certification can be used to enhance real estate transactions, and can be shared with local insurance providers. That’s why the Vail Board of Realtors got involved. 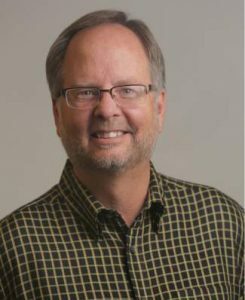 Former Vail Board of Realtors president Mike Budd has worked closely with the REALFire development process. He noted that following the catastrophic 2013 fire season two things happened. First, a task force convened by Colorado Gov. John Hickenlooper compiled a report on how to minimize fire damage in the future and, second, national officials began to view wildfires in a different light. “The good news is the federal government is beginning to view wildfires as our (Western U.S. states) natural disaster risk, like tornadoes and floods are in other parts of the country,” said Budd. With that recognition comes the necessity to insure properties properly, and some homeowners have faced difficulties obtaining insurance due to wildfire risks. By participating in the REALFire program, these homeowners can take action to reduce the risk and improve their ability to insure their properties. Budd also noted that REALFire is locally based program that deals with property owners’ individual issues and needs. Going back to the 2013 state report on wildfire risk, Budd said the effort included a couple of recommendations that could have negative effect on local home sales and ownership. One recommendation was to charge a fee to offset costs associated with wildfire damages, but the report did not spell out what that fee would be or who would pay it. The report also called for a “defensible space” requirement for areas susceptible to wildfire damage. That could prove expensive for the average homeowner and impossible for someone with an under water mortgage, said Budd. Instead of going the route of enacting new laws, Budd said the REALFire program is a voluntary effort that gives people the information to make changes and map out their own mitigation plans. He noted that REALFire was modeled on the successful Boulder County Wildfire Partners program, through which many residents have been able to obtain or retain home insurance based on their certificate. The program launched last week with an email blast to Singletree owners. A second notification will go out this week to people who live in the Eagle-Vail area. Lovgren said he had scheduled his first actual assessment for last week. Homeowners who apply for a REALFire assessment are required to pay a $50 registration fee to join the program. Multi-family application fees may vary based on factors, such as applicable building and unit numbers eligible for a certificate. The fee is requested at time of scheduling and is non-refundable if a property owner cancels. 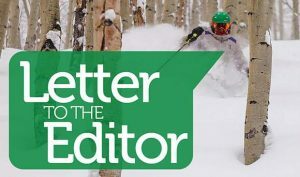 Fees are subsidized through funding support by Eagle County, Vail Board of Realtors, the Eagle-Vail Property Owners Association, the Berry Creek Metro District, and Singletree Property Owner’s Association. All funds go directly to support the development and coordination of the program. Fees are processed through the Vail Board of Realtors, a nonprofit organization. Lovgren noted that other wildfire hazard assessments may be available free of charge from local fire protection districts, but these assessments will not include a REALFire certificate. Lovgren noted that last week’s rain showers were well-timed to address rising local fire danger. But wildfire danger will likely rise as the summer progresses. Through REALFire, Lovgren said people can educate themselves about their unique risks and act accordingly because in the case of wildfire, ignorance is not bliss. In fact, ignorance can be deadly and costly.